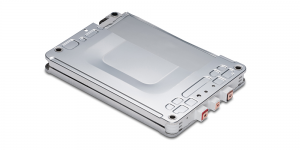 Japanese automobile manufacturers have announced plans to launch a project in October, in which old EV batteries will be collected and recycled. Corresponding factories are being set up in seven prefectures: Hokkaido, Akita, Ibaraki, Aichi, Okayama, Hiroshima and Yamaguchi. The undertaking is mainly being organized by the Japan Automobile Manufacturers Association and the ministries for Economy, Trade and Industry. The set up of an efficient and sustainable battery recycling system is the goal, with the costs being borne by the maximum of parties. An organization named Japan Auto Recycling Partnership will be focusing on the operative parts of the venture, which is funded by the automobile manufacturers. The Japanese manufacturers have shown readiness to cooperate on a number of fields, including solid-state batteries and resource procurement, particularly cobalt. This sudden readiness for cooperation is likely closely tied to the sudden regional competitors springing up in China over the last years.